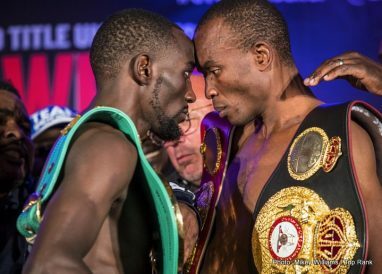 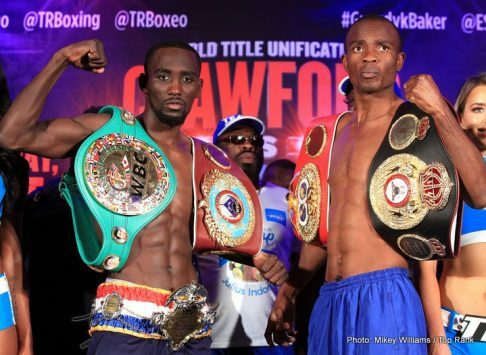 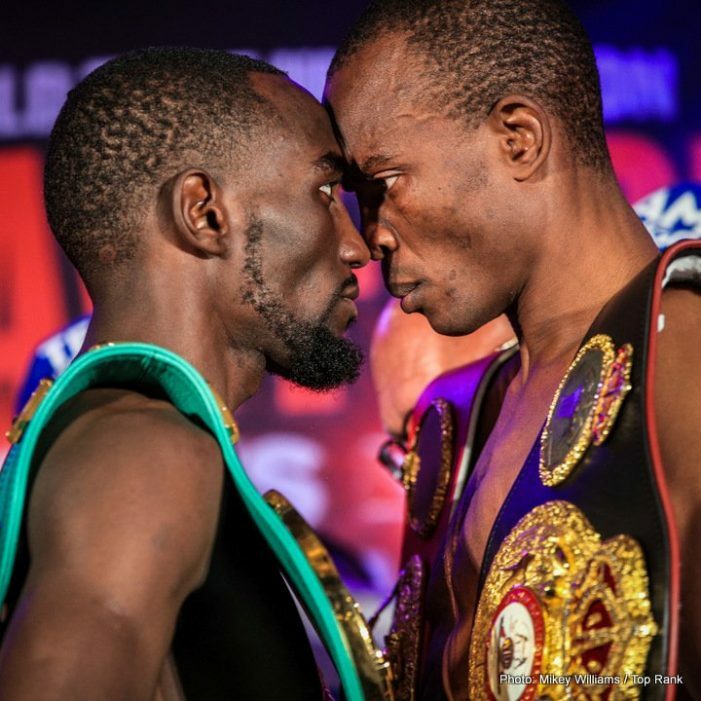 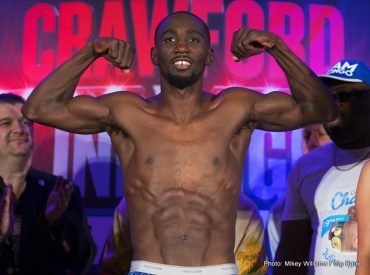 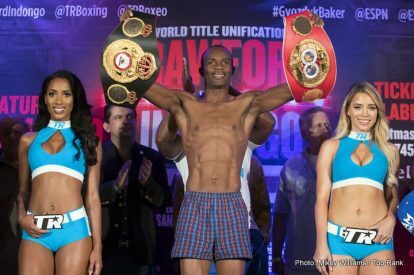 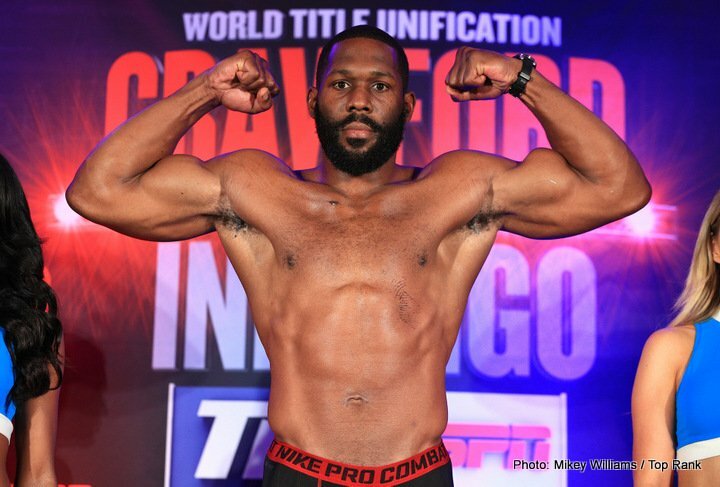 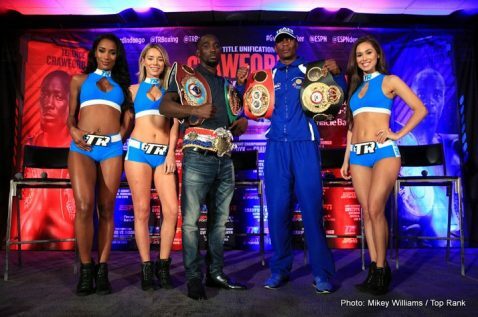 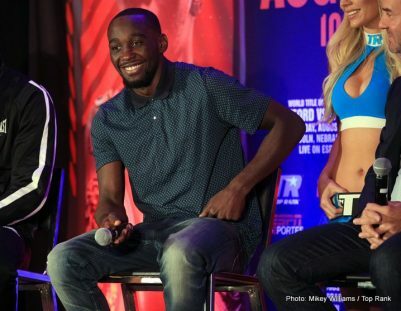 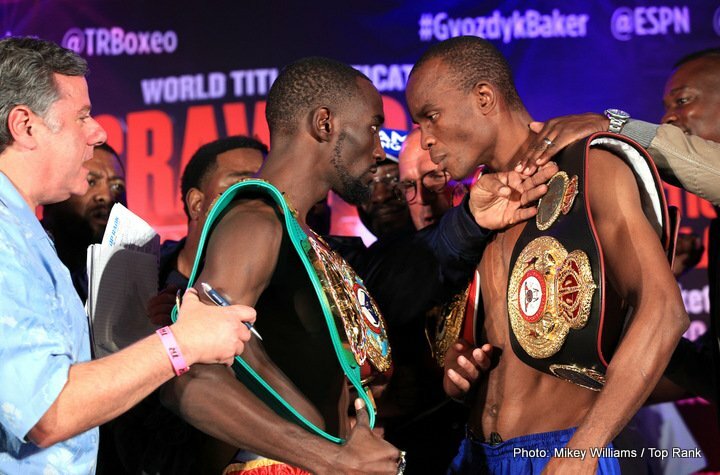 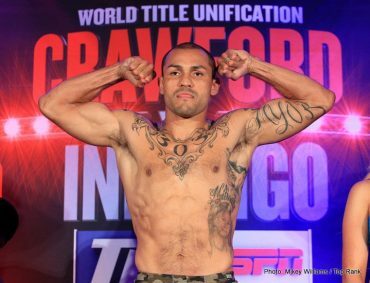 The official weigh in was held today for tomorrow night’s World Junior Welterweight Unification Championships, featuring undefeated world champions Terence Crawford and Julius “Blue Machine” Indongo, to air exclusively in Canada on Super Channel, starting at 9 p.m. 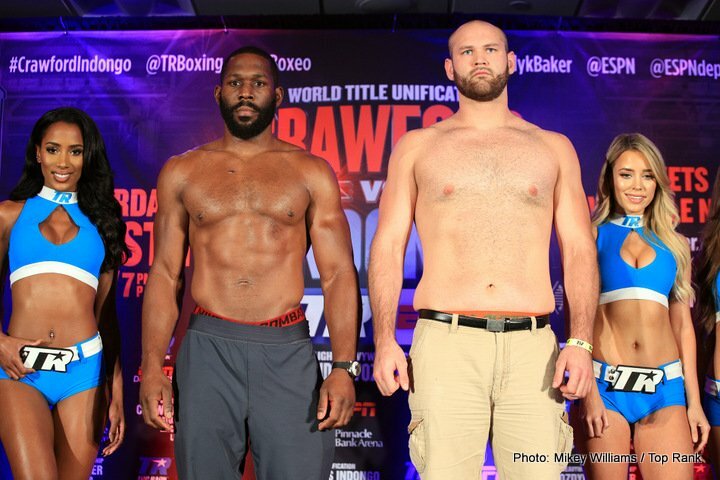 ET / 6 p.m. PT, live from Pinnacle Bank Arena in Lincoln, Nebraska. 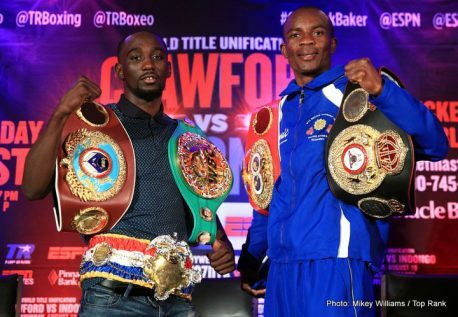 The winner of Crawford-Indongo will hold all four-major junior welterweight world titles, plus The Ring magazine’s prestigious strap. 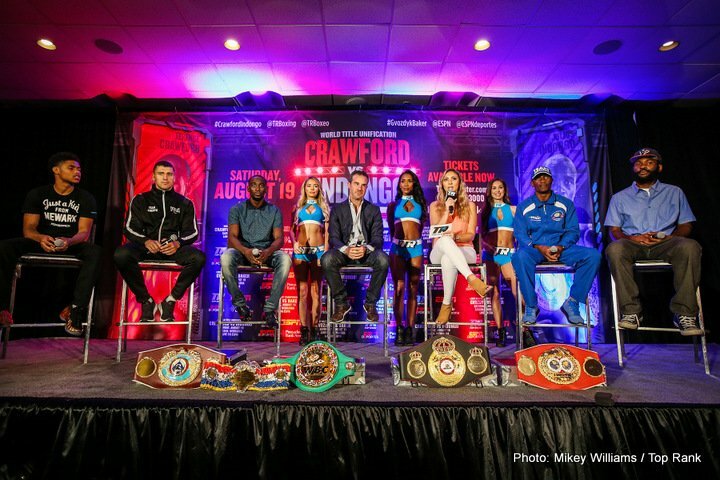 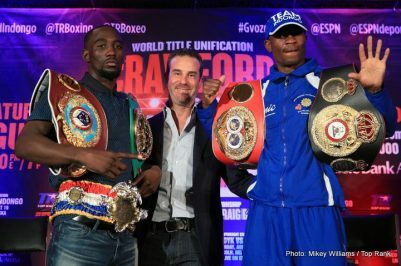 Three exciting fights on the loaded “Crawford vs, Indongo” card, promoted by Top Rank, will air exclusively in Canada on Super Channel. 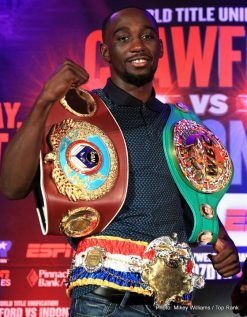 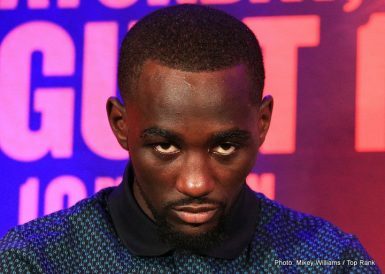 (L) TERENCE CRAWFORD (31-0, 22 KOs, WBC, WBO & The Ring Champion, Omaha, NE 139 lbs. 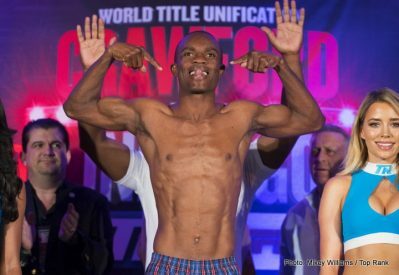 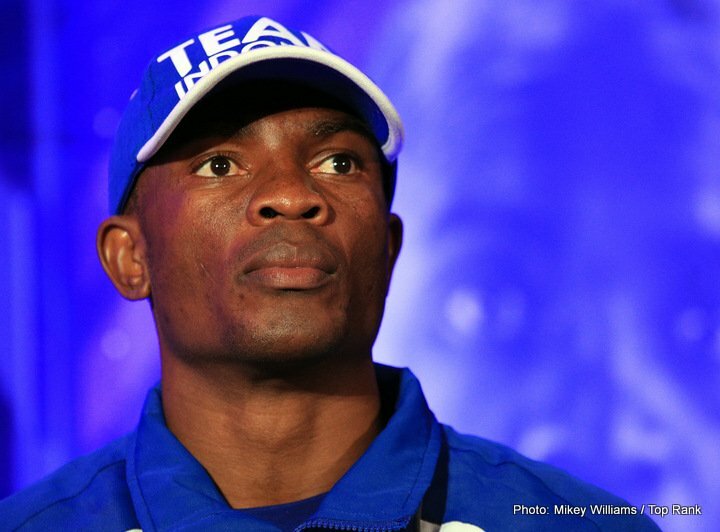 (R) JULIUS INDONGO (22-0, 12 KOs), WBA & IBF Champion, Windhoek, Namibia 140 lbs. 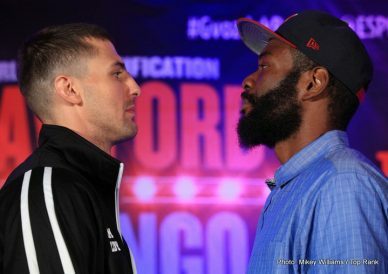 (L) OLEKSANDR GVOZDYK (13-0, 11 KOs), Champion, Kharkiv, Ukraine 174.4 lbs. 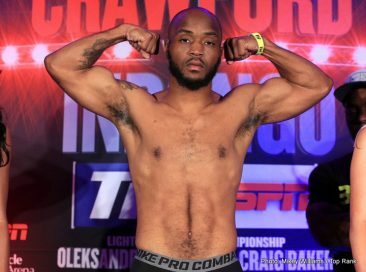 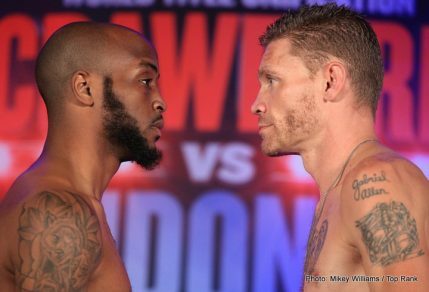 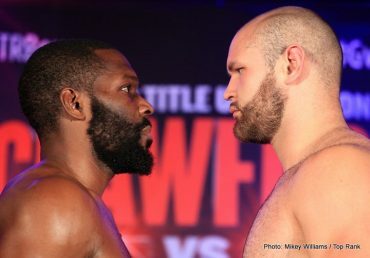 (R) CRAIG BAKER (17-1, 13 KOs), Challenger, Baytown, TX 174.6 lbs. 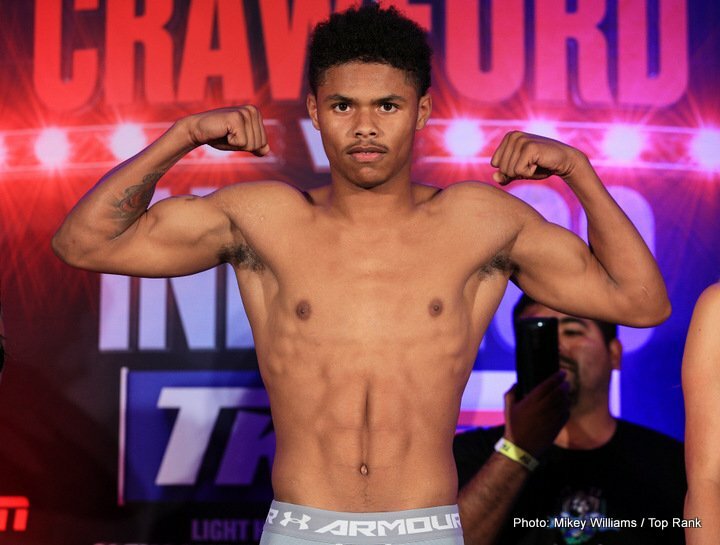 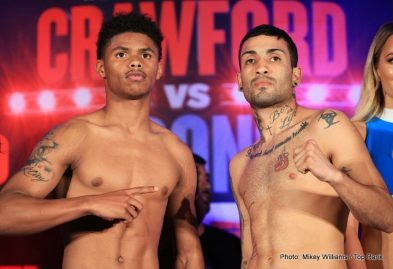 (L) SHAKUR STEVENSON (2-0, 1 KO), 2016 Olympic Silver Medalist, Newark, NJ 126.2 lbs. 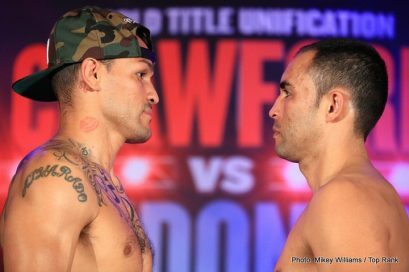 (R) DAVID PAZ (4-3-1, 0 KOs), La Plata, Argentina 125.8 lbs. 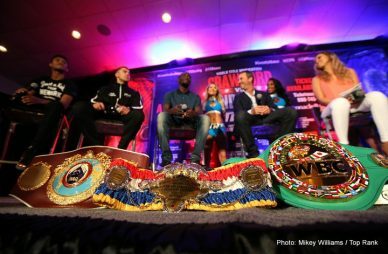 Super Channel has recently aired major boxing events live like Brook vs. Spence Jr., Pacquiao-Horn, Eubank, Jr. vs. Abraham, and Lomachenko vs.Marriaga. 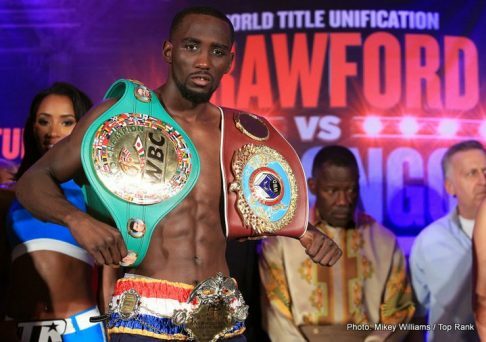 To see the “Crawford vs. Indongo” card live, as well as more exciting boxing to come, fight fans in Canada can contact their local cable provider to subscribe to Super Channel and all that it offers, including premium series, movies and much more, for as low as $9.95 per month.